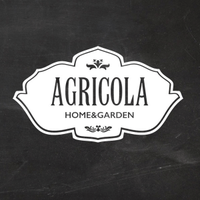 Agricola is a home and garden store in the Italian city of Varese. It primarily serves the local community, but also caters to customers as far away as Switzerland and Milan. Agricola partnered with the marketing agency S'nce Group (@sncegroup) to develop and manage their campaign. Ahead of launching an online store, Agricola needed to raise brand awareness and drive traffic to its website. The company wanted to reach several distinct audiences: younger online shoppers, new homeowners, career women over 40 interested in homewares, and men interested in gardening and organic food. "Twitter is a live, public channel with immediate, effective content that goes right to the point." Agricola used Website Cards to showcase in-store promotions and bring people to the website, where they could learn more. The Agricola team also met monthly with their agency to build an editorial calendar. This strategy ensured they ran eye-catching advertising campaigns that would appeal to potential shoppers. To find Italian and Swiss Twitter users likely to be interested in homewares, garden products, and pet supplies, Agricola focused on the followers of relevant, popular accounts. For example, it targeted usernames such as TV cooking competition show @MasterChef_it and electronics and household appliances chain @Media_World. Agricola monitored each campaign, and removed underperforming handles and interests from its targeting lists. Their campaigns attracted twice as much engagement as seen previously. They also tested different copy and images to see which performed best, as can be seen here. See how a consumer tech company increased sales. Find out how to reach people who are likely to be interested in your content. Learn how to use Twitter Ads to drive more visitors to your site.